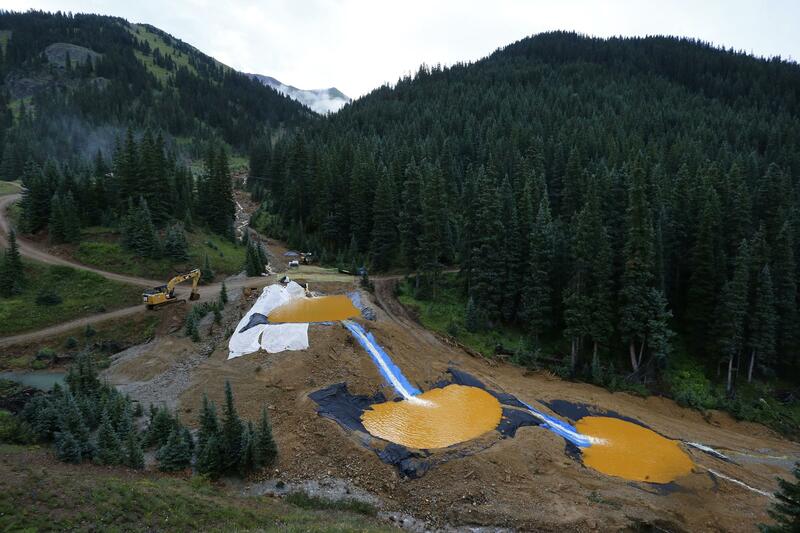 In this Aug. 12, 2015, file photo, water flows through a series of retention ponds built to contain and filter out heavy metals and chemicals from the Gold King Mine spill near Silverton, Colo.
Last year, the Trump Administration rejected an Obama-era proposal that forced mining companies to prove they could pay to clean up any pollution they might create. The clean-up plan was designed for mines that look for gold, iron and other minerals. The Environmental Protection Agency says that adds up to more than $7 billion dollars companies would have to hold in reserve. The mining industry says the rule wasn’t necessary because there are already cleanup requirements for mines at the state and federal level. Wednesday, environmental groups including the Idaho Conservation League filed a petition with the U.S. Court of Appeals to reinstate the rule. The groups say the move is a handout to the mining industry and leaves taxpayers to pay the bill for future mining pollution. The mining industry responded to the petition saying it would intervene in the case on behalf of the Trump Administration.